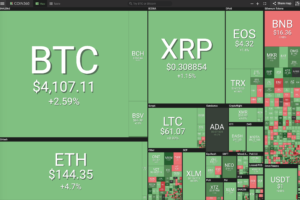 The crypto market after catching its breath yesterday is pushing higher with renewed vigor this weekend. 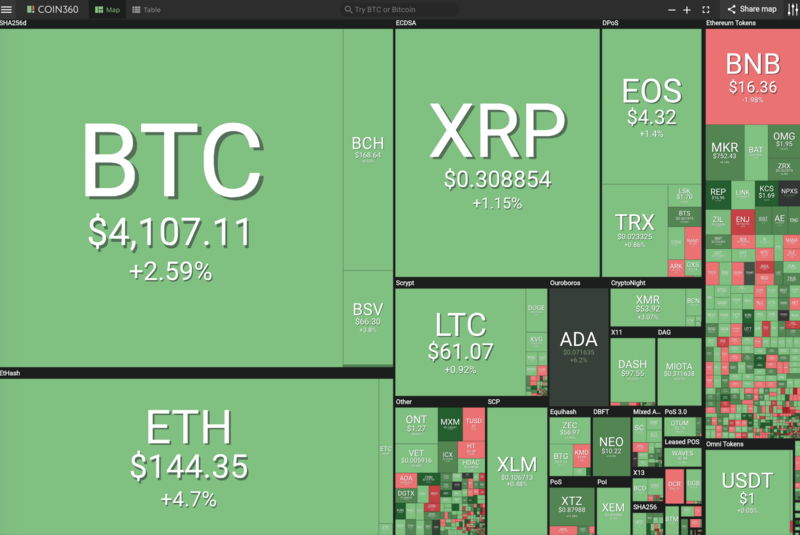 Bitcoin is looking rather bullish in the short term trading at about 4122 USD. 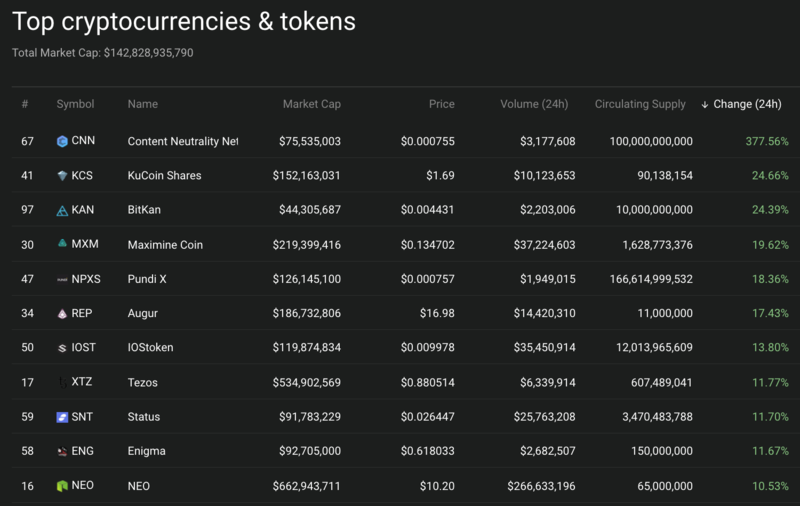 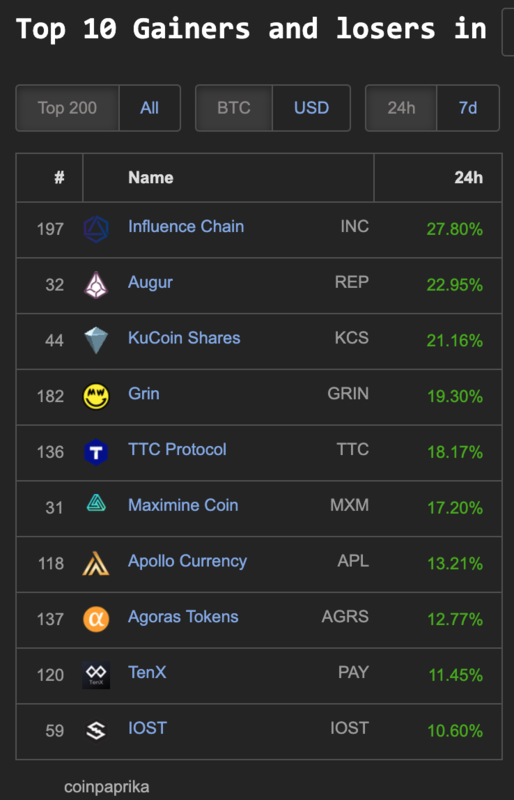 KuCoin Shares (KCS) 24%, BitKan (KAN) 24%, Maximine Coin (MXM)19%, Pudi X (NPXS) 18%, Augur (REP) 17%, IOStoken (IOST) 13%, Tezos (XTZ) 11%, Status (SNT) 11%, Enigma (ENG) 11%, and NEO 10%. 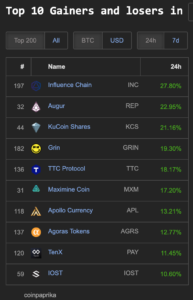 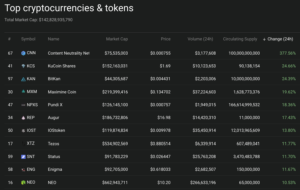 Within the top 200 market cap Coinpaprika.com has 10 coins making double digit percentage gains: Influence Chain (INC) 27%, Augur (REP) 22%, KuCoin Shares (KCS) 21%, GRIN 19%, TTC Protocol (TTC) 18%, Maximine Coin (MXM) 17%, Apollo Currency (APL) 13%, Agoras Tokens (AGRS) 12%, TenX (APY) 11%, and IOST (10%). 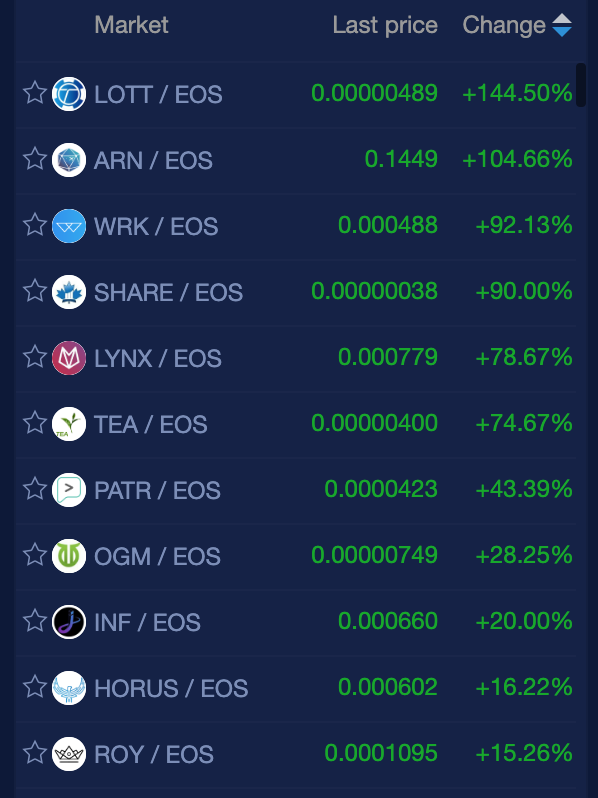 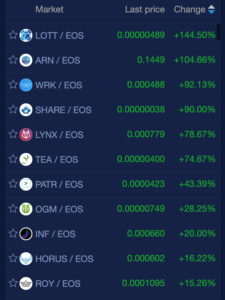 Coins trading with EOS on NewDex are leading the cryptocurrency market again.